Scientists believe that this large dinosaur roamed the earth during the early Cretaceous Period about 125 to 135 million years ago. With several interesting physical characteristics, scientists have been able to determine more about the Iguanodon’s behaviors, diet, and life in general. As the research into these dinosaurs continues, scientists learn new information. 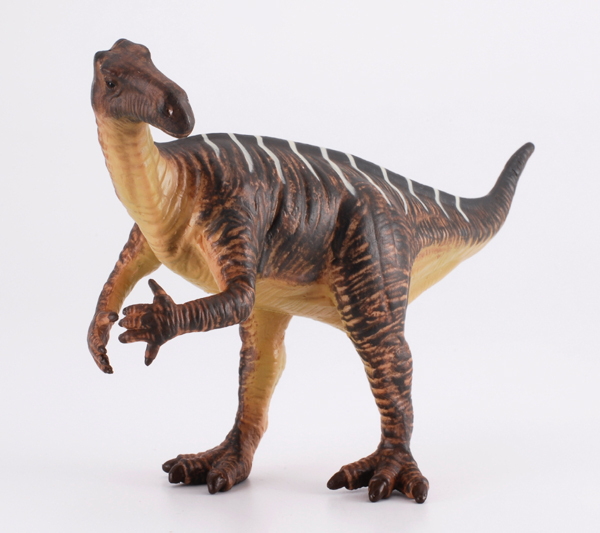 The following facts describe the Iguanodon in more detail so that you can understand more facts about what this dinosaur looked like and how it lived. 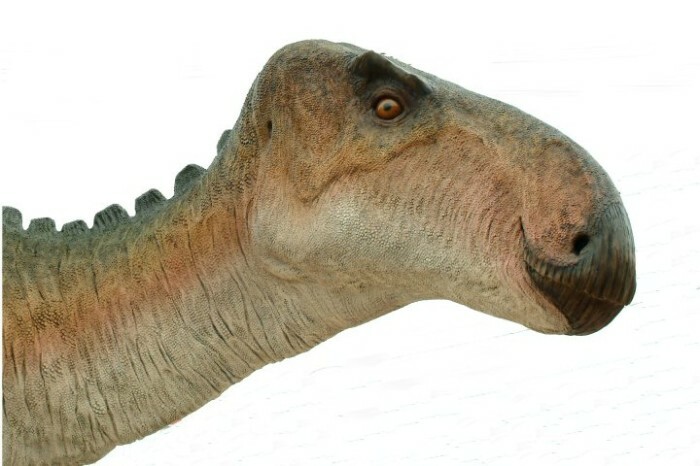 Based on the fossils, the Iguanodon measured 20-33 feet long and stood over 16-feet tall. 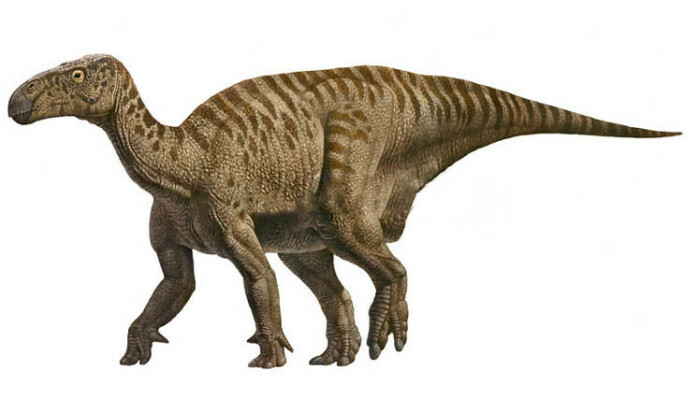 Additionally, the Iguanodon stood on its two hind legs rather than all four like the modern iguana. 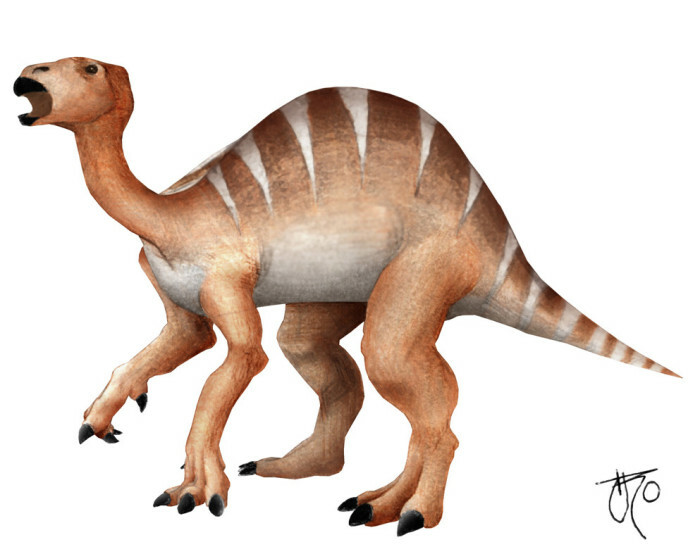 Its body was bulky, and it had a long, stiff tail that kept it balanced while on two legs. Its hind feet had three toes and hoof-like claws for gripping the ground to run. It had four fingers on each hand in addition to a 2- to 6-inch thumb spike that it used for defense and obtaining food. Its head featured a toothless beak with tightly packed teeth on each side. Based on fossil remains, scientists believe the Iguanodon weighed as much as 4 or 5 tons.